Eliminate the possibility of misaligned shelves and cut your setup time in half with the easy-to-use Pro Shelf Drilling Jig! 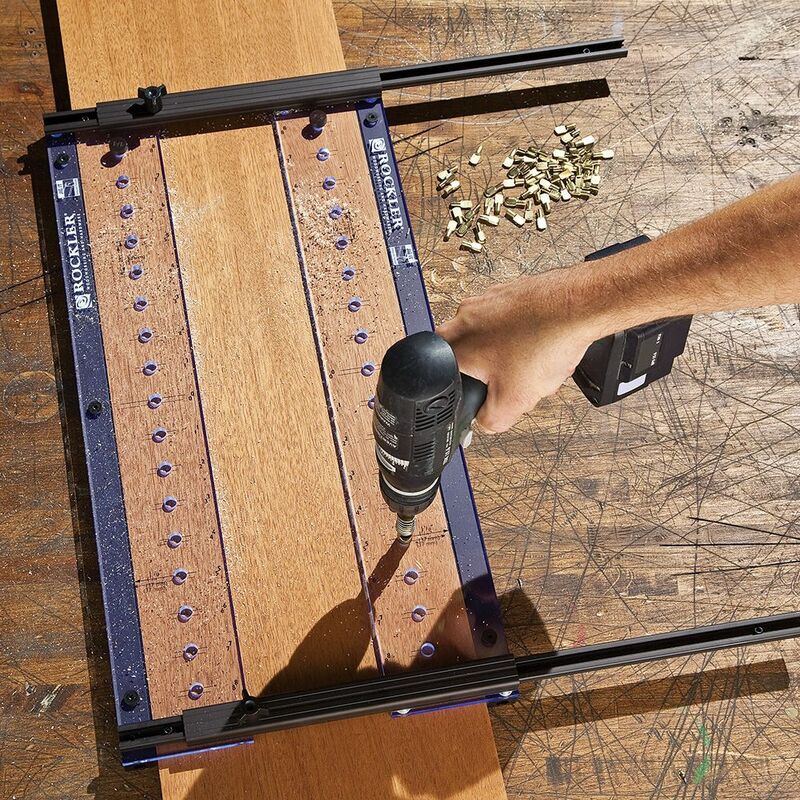 Just lay the jig on your stock, tighten the two horizontal tracking knobs and start drilling error-free rows. It made all the difference in the world. Made short work. I highly recommend it to anyone that does cabinet work. 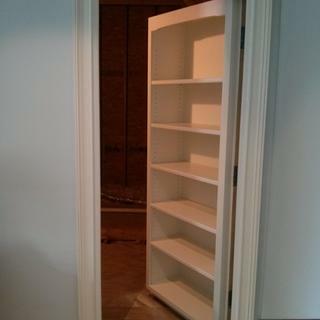 Really had fun making an adjustable closet shelving. The key to drill clean holes is to get your drill bit up to speed and go up and down slowly. I have owned several other jigs, including the low cost one from Rockler and a much more expensive Pinnacle. This one covers most of my needs and is really fast to set and use. I do a fair amount of full depth cabinets - nice that you can do 24"/600mm - and I can do a side in a little over a minute. Note: I use a corded drill because I find the extra speed (2500 rpm) is useful for getting clean 5mm holes. I am a professional interior trim and cabinet carpenter and recently upgraded to this jig. 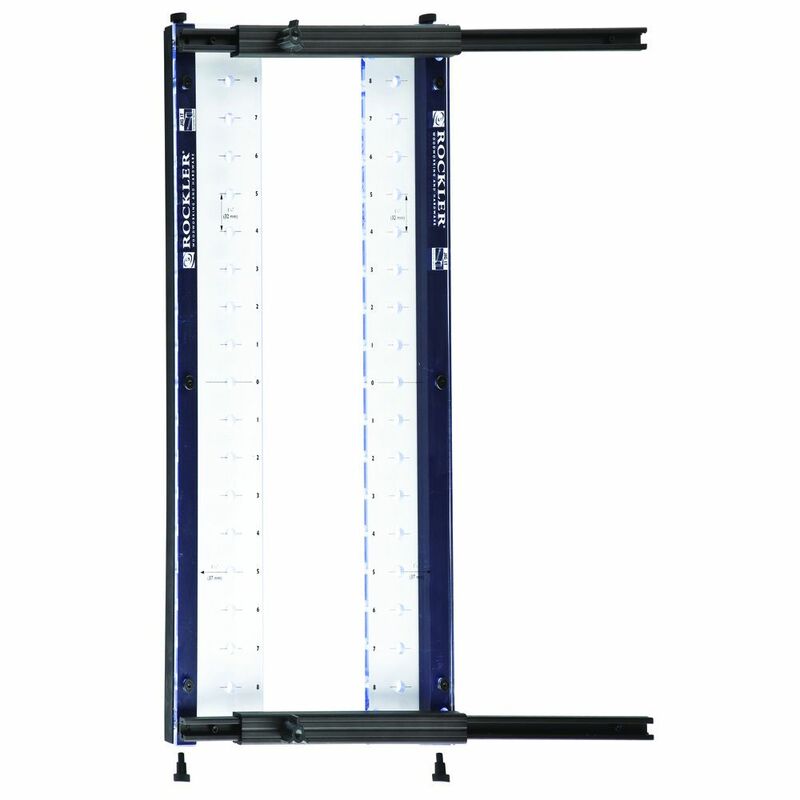 It saves lots of time in set-up and increases accuracy when doing multiple shelf units. Extremely easy to use and modify for thinner boards. This is a great tool that is well built. Awesome tool. Executes perfectly. Real time saver. Wow? This Jig sure did the work and saved me time! Once I put it together, It took me about 30 minutes to precisely drill 2 lower cabinet and 2 upright cabinet units with no...NO hick-ups. Thanks for the great JIG. After a careful read through of the instructions and spending a few moments setting it up, I had perfectly spaced holes drilled in under 5 minutes. Great product! There is nothing to dislike about the drilling jig. I love it! The jig is well constructed and works great. Easy to use. It made my project go much smoother than if I would have used my old jig. Glad I bought this one! I had the choice of this one that braces to both sides of the board or the one sided brace. Sure the one sided one probably works just as well, but with brace there is no question, the holes line up perfectly. Be sure to buy the appropriate bit that goes with it. I bought the 1/4" pro drilling bit. All works great and I would recommend this jig. Best jig for adjustable shelf pins. Always perfect. This makes building shelves so much simpler! ADJUSTABLE SHELVES. WELL MADE AND EASY TO USE. Works great. Super easy to use and saves a lot of time. Great buy! It's a great invention thanks guys! This Rockler Pro Shelf Drilling Jig is very sturdy and well made. It is easy to use and extremely accurate. Makes drilling perfect shelf pin holes super fast. Just be sure to get the drill bit assembly that is sold separately. 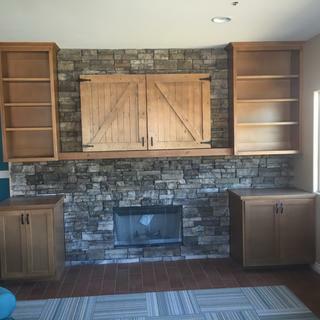 The Rockler Pro Shelf Drilling Jig worked fantastic on this secret bookcase door project. Precise, easy to use, what more can I say? For layout of holes, the jig is solid and allows precise placement. the final shelves have zero tilt to them - For the little extra cost, this is hands down the best jig I have seen. Works great! Easy to use, even the wife had fun with it. I am building kitchen cabinets and this drilling jig is perfect. Very easy to use and accurate. I also recommend the self guiding drill bits too. I should have ordered this years ago. This jig made the job a whole lot easier. This is what I built with my new jig. It was fantastic!!!!! 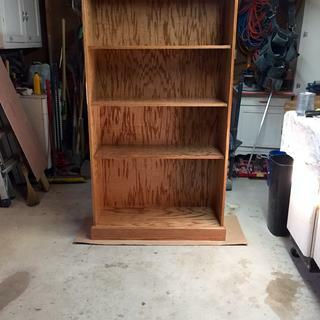 My partner and I had a project of building a book case 8' long and 7' high to be built in 3 units. So there was lots of hole to be bored. We decided to get the Pro Shelf Drilling Jig and we have to say it worked great. Once we had the spacing of the holes marked on the jig we were all done in lest then a half hour. Concerns: The drill bit. Two things that we had concerns with. One: The depth of the bit. Some clips are not all the same in length and just a shad longer and the clips done set all the way. Would it be possible to have an adjustment? Two: We were using 3/4" Birch ply for the book case. We noticed that the bit tore the wood at the opening of the hole. We tried various methods to prevent this with no luck. 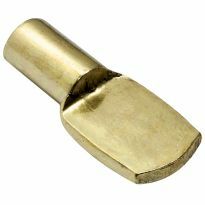 Would a Forstner bit be better or a different design on existing? 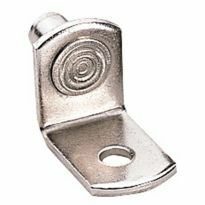 I bought this to drill shelf pegs for kitchen cabs I am building. It is very accurate...nothing worse than a wobbly shelf...I had none with this jig. Everything lines up perfectly with absolutely no effort. Yes a bit steep on the price but the time you save. On a 9 foot by 4 ft bookshelf i was done drilling in less then 5 minutes and everything was dead on level. Not real sure how anyone could screw this thing up. 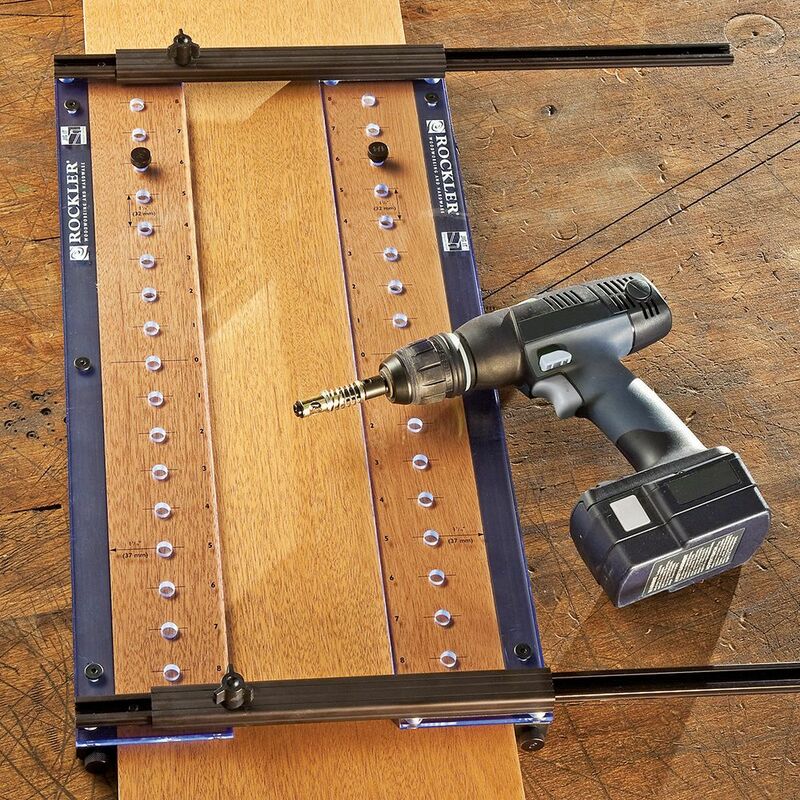 Rockler makes the average woodworker feel like a pro again! The jig worked great it was very easy to line up and hold In place. 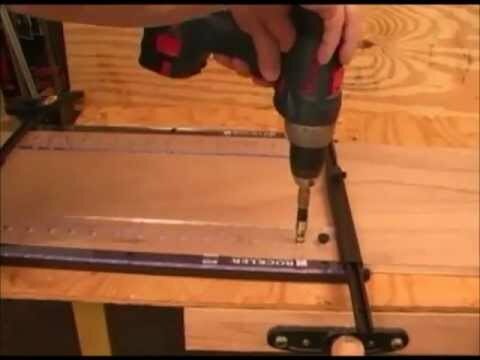 This jig has saved me a lot of time doing this chore on several cabinets. It is simple and very easy to use. One reviewer said the holes melted. well he must have used a very high speed drill because I didn't have any trouble. I would recommend this jig for the task. Just used my new toy for the first time this weekend. We will see how well i did soon. It was very easy to line up the holes over 2 boards. 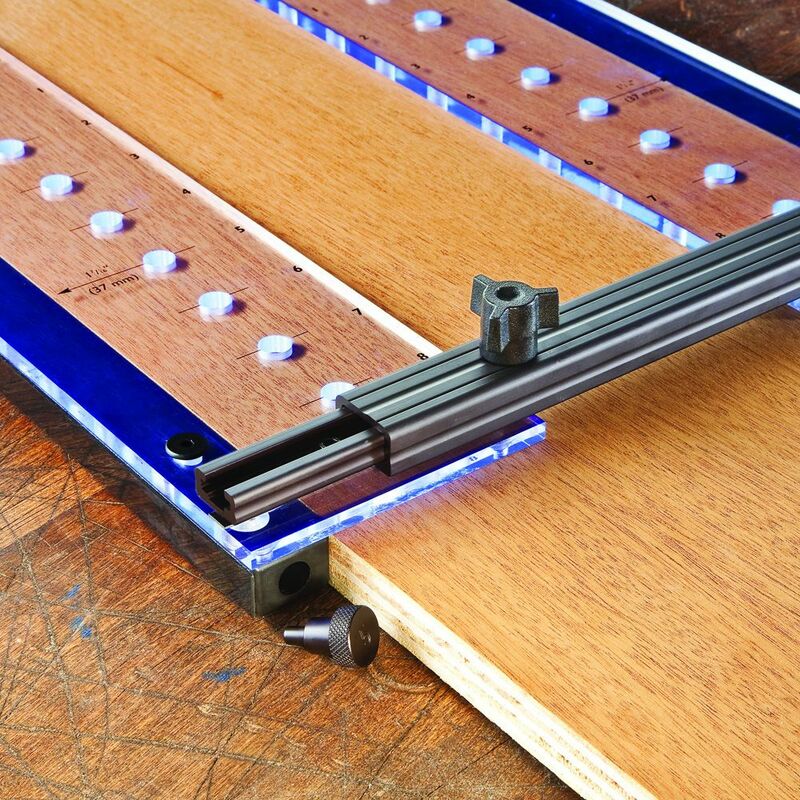 This tool makes it easy to align up the holes and move down the board with ease. Once I figured out how to put the jig together, it worked perfectly the first try and first time. This shelf pin drilling jig is a very nice unit and very accurate, the only problems I have had with it is when drilling 1/2" stock the drill bit comes through a little bit so you have to put a shim between the glass and the board to eliminate that and also if you do very much drilling as I do you may as well go ahead and order more drill bits cause the spring gets distorted and does not work properly. 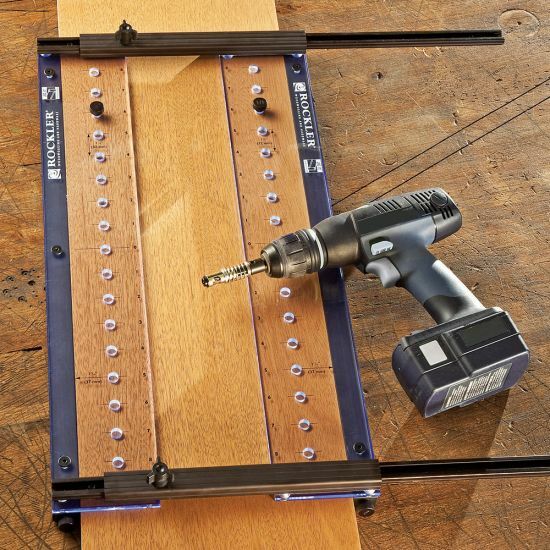 This jig made drilling shelf pin holes easy and painless. No need to worry if they line up front to back or if the holes are the same distance from front or back. I highly recommend this jig for any one who wants level shelves. This Jig is a no brainer !! Just buy it . It works great . It would be nice if it hand some kind of clip so you could store the drill bit with the Jig . Well made. Sturdy supports, PERFECT alignment every time. With this jig you will never have to worry about front and back alignment again. A 7' run of holes remains exact from top to bottom. Drilling shelf pin support holes now takes moments. It is well worth the extra cost of the jig. The Pro self centering drill is required for this jig. The reviews helped me to make the decision to purchase this item over others that I had been researching. Absolutely for presition and accuracy. I'm in the process of rebuilding my kitchen cabinets and making new carcasses. I wanted to make sure I got it right the first time. Upgraded from a smaller jig for a large project. Works really well! Designing wall to wall book cases for a 10'L x 8'H library project. Compared to Woodpeckers template. The guaranteed parallel holes and no rocking shelf made this worth the extra cost. The ability to do both sides at once and have exact spacing is critical. I have the single side jig and even though you think you have it lined up perfectly it can still be just a bit off making your shelf not level. Got tired of buying shelves that were either to big or too small. I decided to buy this and build my own. So easy to use. A gift for the father in law. Highest rated and most precise jig I was able to find through research. Really like that it aligns front and rear holes simultaneously to significantly increase precision. Great product, very useful. Had to order another one because you don’t sell replacement plastic. This jig looks like it will save so much time and and will be accurate aligning with other pins. Will be faster and less expensive than the flush tracks and clips. An inexpensive solution to accurate shelf placement. Reviews were very positive and sounds like the most accurate jig for shelving. 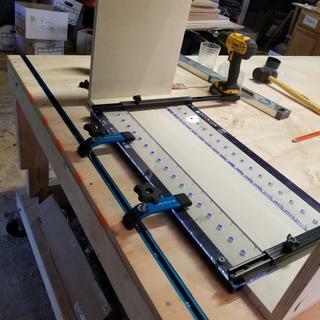 I purchased the Rockler Pro Shelf Drilling Jig because I needed a reliable way to dill 1/4" and 5 mm shelf pin holes for my shelving and cabinets. In the past I made my own jig and found it to be woefully inadequate. Building display cases for a new retail store. Want the shelves to be perfect. My husband chose this as a Father's Day gift.He needed it for a woodworking project he is going to be working on. To make adjustable shelves for my storage cabinets. Love this jig. I bought another one for my brother. 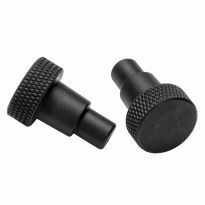 Can I buy replacement plastic hole guide? The description says it works on 8.25" to 25.25" cabinets. I'm making a CD/DVD cabinet with 6" boards. Can it size down to that size board? 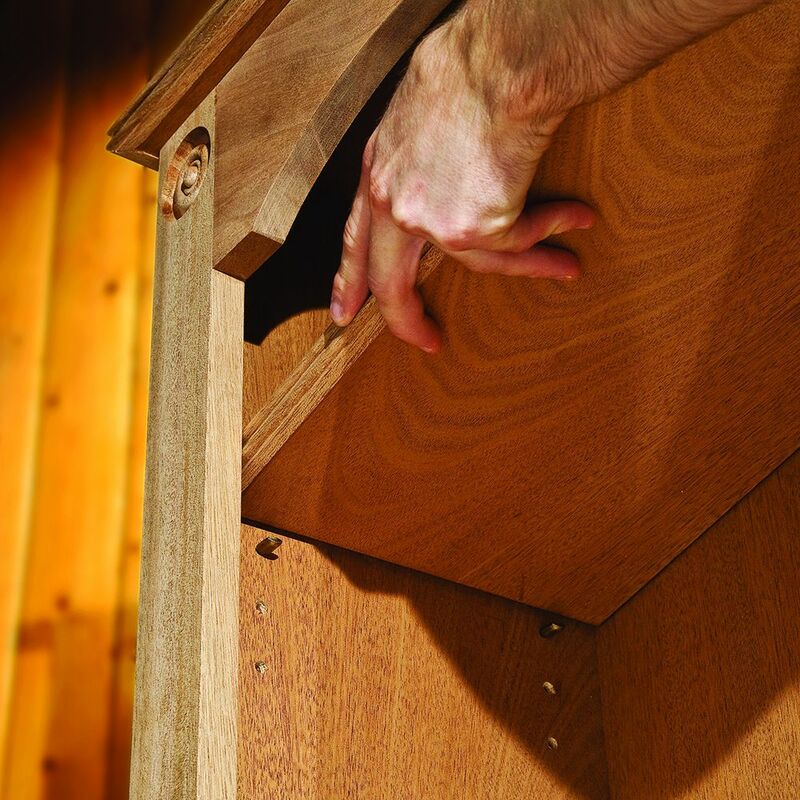 BEST ANSWER: pair your two cabinet sides together and put spacers in along the rails to decrease the hole offset from the edge - work the layout from the center line. Do both line of holes then switch mating edges of cabinet pieces and repeat. 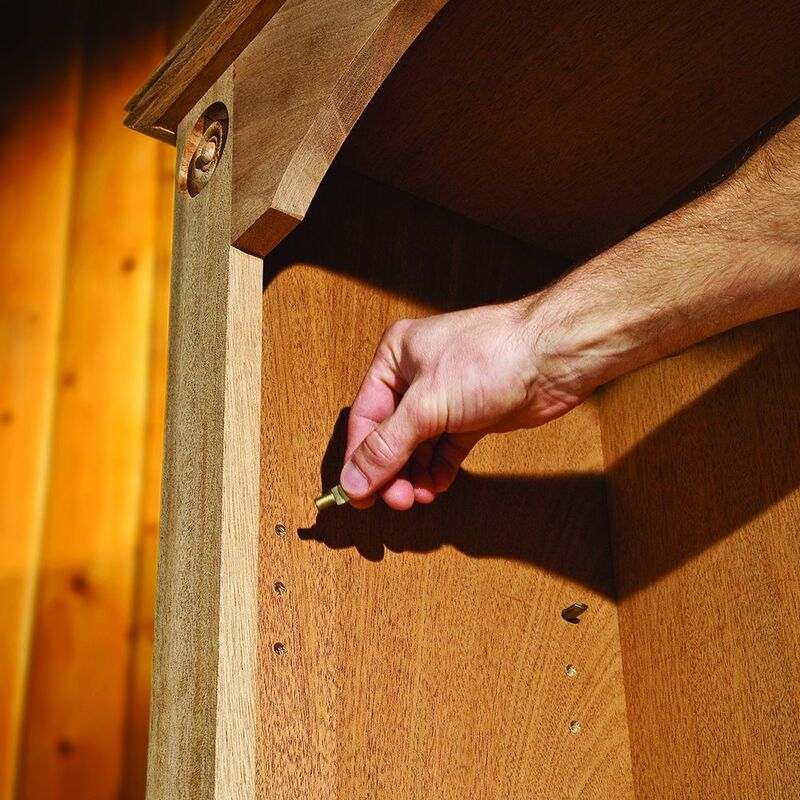 Can you drill holes in the center of the panel in order to mount drawer slides? In other words can you drill 3 rows of holes, one on the front 32mm in one in the middle (any multiple of 32mm) and one on the end, so you can have 3 mount holes for a drawer slide. BEST ANSWER: This is not necessary. Two screws, one at each end , are sufficient to carry the load. If you feel you must have a third screw, install it after the slide is attached. Is there a way to move one side of the jig to come in a few inches inward? 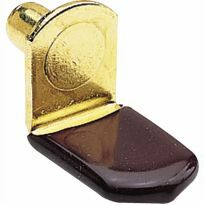 BEST ANSWER: The metal guide bars attach to the clear acrylic with three screws. Temporarily removing one of the guide bars allows you to place one template anywhere you want on your work piece while using the remaining bar to index to the side. The jig is made to fit along the outside edges of the board or shelving piece. 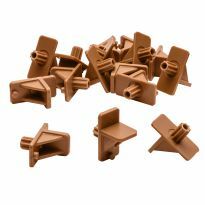 It can be extended to the maximum width by adjusting the wing nuts. If you need to come in on one side to drill a column that is further in than the jig allows or if you need to drill on a board wider than the jig then there is no easy way I know of to do this. I have run into the width issue and here is how I solved it. Set up the jig and mark and drill one side. Measure and draws a line where you want the second row. Use a T-square to align the bottom of the hole from the first column, drilled using the jig, and mark where to drill on the second column. Continue this until all the desired holes are marked then drill. I can not get the 3/8 inch flat head machine screws to tread into the extension tracks because of the thickest of the plastic spacers that are affixed to the acrylic. Is this a common issue? If it is what is the fix? 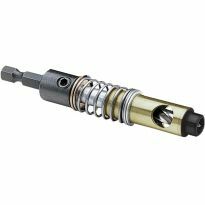 BEST ANSWER: There is a known issue with countersink for short screws being under spec. I had same problem and Rockler shipped me replacement acrylic parts with correct countersink. Does this work with 1/2'' thick ? Yes it does. I use it for all my custom cabinets that have 1/2" plywood boxes. It does a great job. You will need to place the piece you are drilling on top of another piece of plywood to hold jig up because the jig is thicker than 1/2"
I used it on 1/2" thick boards with no issues. Can this be used on cabinets with a face frame-not flush with the sides? I drilled my sides unassembled first. BEST ANSWER: Jig is designed for use before cabinet is assembled. I use the regular Jig-It shelf pin jig for that purpose. You could possibly remove the plastic guide and use the pins in existing holes, assuming your existing cabinet is drilled @ 37mm centers (some are 1-1/4, which is not the same despite what the literature claims). I think so. I, never done it but with proper clamping and using the locating pin it should work. How can I keep the bits from shredding the holes on soft pine, very few are coming out clean?. Thanks, Tammy. Taking a little more time and taping did the trick. I still had a few that tore out but overalll a much cleaner outcome. I think in the future maybe I'll stay away from pine and use something a little more dense. Thanks for your help. Does the jig come with the drill bit? Can this be used with a router and template guide? BEST ANSWER: This is a drilling jig not a router jig. While I am sure someone clever could possibly repurpose it I doubt it would be more efficient for the stated purpose. 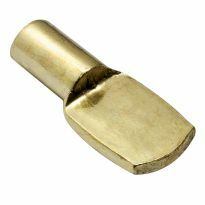 The drill is precise to the holes and makes the holes the size of available pins. To try to get a template guide/router bit combination would be difficult. Also trying to line up the template with each individual hole would be slow and difficult. I suspect you are seeing it as a way to route in metal shelf standards rather than pin holes directly into the wood itself.